By Edgefield Advertiser on February 9, 2015 Comments Off on John Edward Clark, Sr.
AUGUSTA, Ga. – Entered into rest Thursday, February 05, 2015, Mr. John Edward Clark, Sr., 76, husband to Mary McCary Clark. Mr. Clark was a charter member of West Acres Baptist Church. He graduated from Richmond Academy and served in the National Guard for 23 years. He retired from the United States Postal Service after 38 years of service. Upon retirement, he managed the mail room for 10 years at SRP Federal Credit Union. Family members in addition to his wife include his children: John Clark, Jr., Hartie Cliatt and wife Angie, Casey Cliatt and wife Toni, Rebecca Duncan and husband Jay; 9 grandchildren; 2 great grandchildren; sister: Jackie Heynneman and husband Robert; and many other loving family members. He is preceded in death by his wife: Becky Morris Clark; father: Charles H. Clark, Sr.; mother who gave him life: Janie Hughes Clark; mother who raised him: Zelma M. Clark; and brother: Charles H. Clark, Jr.
Funeral services were held Monday, February 9, 2015 at 11:00 A.M. at West Acres Baptist Church with Rev. Larry Harmon and Rev. Denny Mack officiating. Burial will follow in Westover Memorial Park. 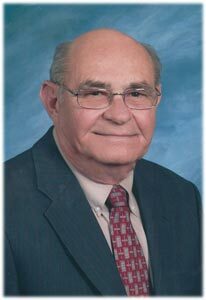 Memorial contributions may be made to West Acres Baptist Church, 555 Gibbs Rd., Evans, GA 30809.